Official MYOG PERSONALISED PRINTS product. 100% cotton, UK printed tote bags available in 4 great colours! Click the “MYOG Personalised Prints” link above the description to view more tote bags & other products in our range. Made in the UK, dispatched within 1 working day! Quality & service guaranteed. We are a well established company with a reputation for quality and customer service, we guarantee that you will be very happy with your purchase! Available in 4 great colours: Black, Natural, Blue (actually emerald) & Red (actually cranberry). As pictured. Professionally printed using state of the art printing machinery, our tote bags are unique, stylish & high quality! Our design team work around the clock to bring you unique and fun artwork & our print team ensure that we deliver a quality product right to your door! 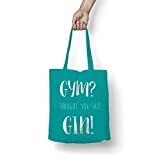 These items are exclusively manufactured in the UK by MYOG Personalised Prints, a brand owned by Signature Printing Ltd. We have more tote bag styles available in our store, feel free to contact us for details! Bag size is approx 38 x 42cm.